Whisk 2 tablespoons olive oil, the juice of 1/2 lime, 2 teaspoons sugar, 1 minced garlic clove, 1 teaspoon kosher salt and a pinch of red pepper flakes. 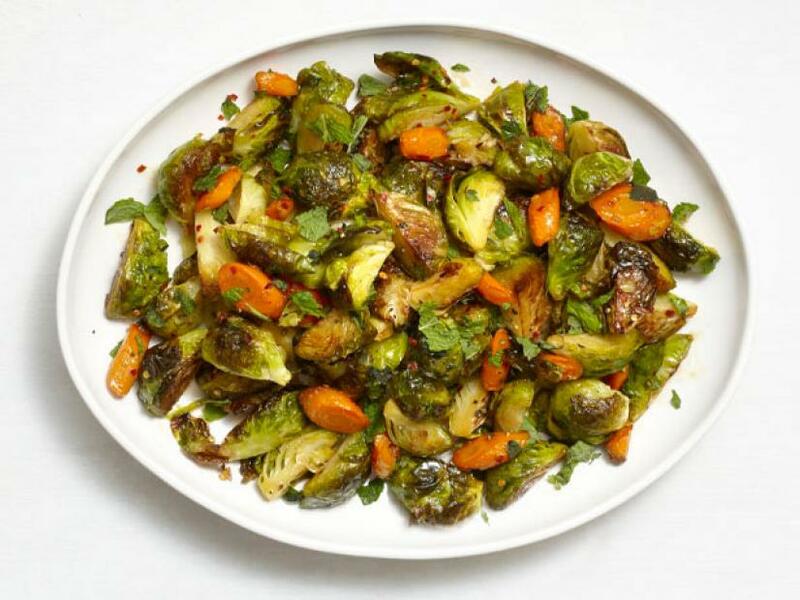 Toss with 1 pound quartered Brussels sprouts and 1/2 pound sliced carrots on a baking sheet. Roast at 450 degrees F until tender, about 25 minutes. Toss with the juice of 1/2 lemon, and salt and pepper and serve.